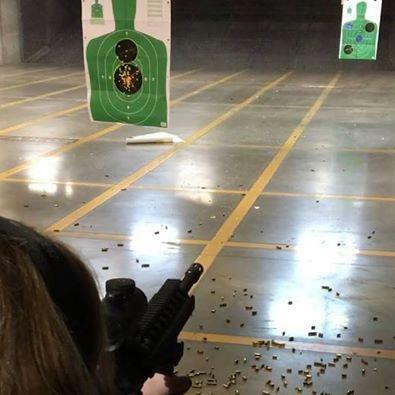 SST currently specializes in weapons training focused on new or inexperienced gun owners and people who just want to know more about guns and gun safety. Class I: Introduction to weapons. Class II: At the range. Class III: Choosing a personal weapon (at the range). Do you or your child know what to do if you encounter a gun? Are you interested in learning more about guns and gun safety but don’t want to invest hundreds of dollars? Have you considered buying a gun but don’t know where to begin? Then these classes are for you! The four rules you will never forget! Types of guns, rifles and shotguns and how they function. The myths you’ve heard – the truths you need to know! Handling weapons: stance, grip, aiming, etc. Dry firing – we will be using real (unloaded) guns! Review of safety rules and range rules. Review of stance, grip, aiming, and weapon functions. Live fire (my guns, your guns or range guns). Class is intended for one person or a couple interested in owning a personal fire arm. We will discuss in detail your specific needs and options for obtaining the fire arm. We will rent and fire a variety of fire arms and discuss the pros and cons of each one. Class I only: $35.00 per person - kids under 18 must be with parent. Class II: $50 per person. Ammo, range fee and rentals, if needed, are extra. You cannot participate in class 2 without attending class 1. No one under 18 allowed without parent. No one under 12 allowed in the range. Class III: $100 plus range fee and range gun rental fee. Before spending $100+ on intense weapons training, these classes will teach you the basics and provide a foundation for you to build on with future training. I am a certified NRA instructor and a certified NRA Range Safety Officer (RSO), and I want to make this important information available to more people.